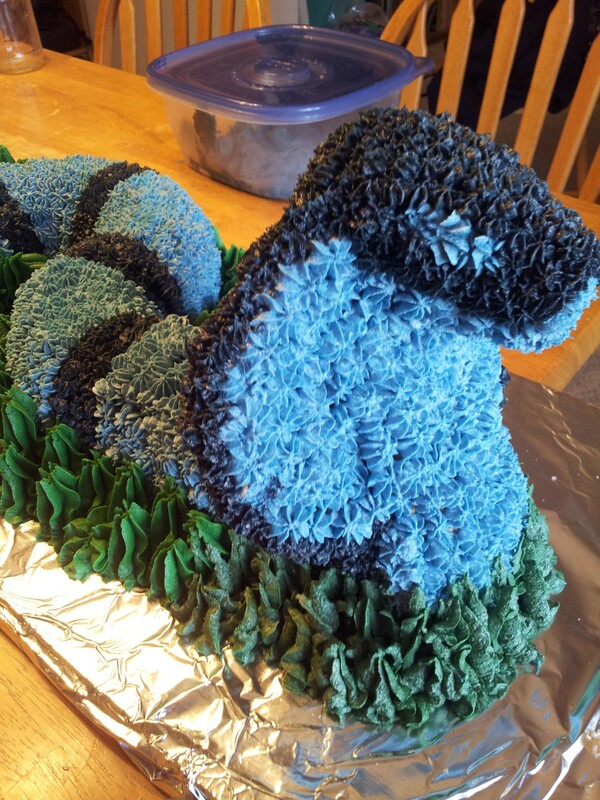 Cake – The Cobra Cake! Sometimess (and maybe it’s because I’m a total right-brainer), I get inspired to the enth-degree. This was one of those times. My son was crossing over from Cub Scouts to Boy Scouts (I’m so proud!! 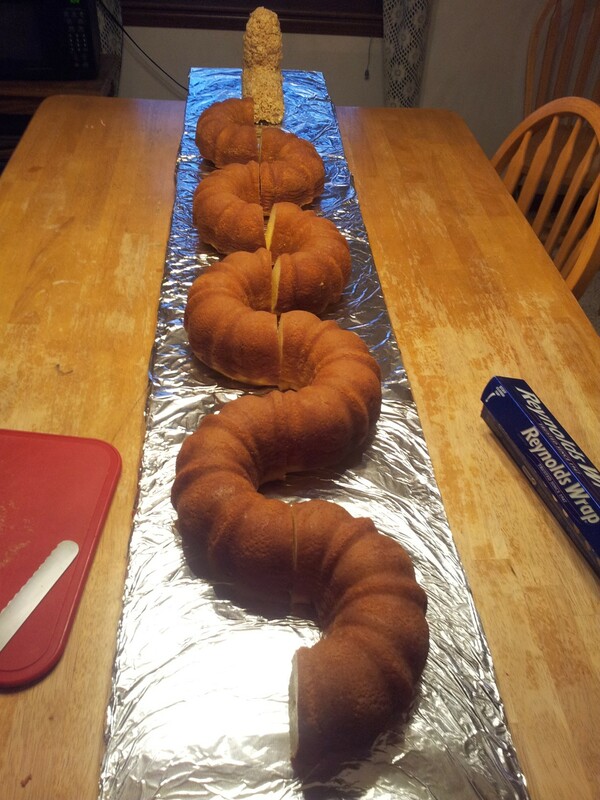 ), and his den was the “Cobra Den.” Well, for his Blue & Gold ceremony, I made a 6′ long cobra snake cake. Before I go into the step-by-step on how to make this slithering slab, let me give a shout out to my three helpers that gave up a couple of hours on their Saturday morning to help me pipe stars all over this bad boy: Thanks to Lisa, Jennifer, and Annika! Without their help, I’d probably STILL be piping stars today. 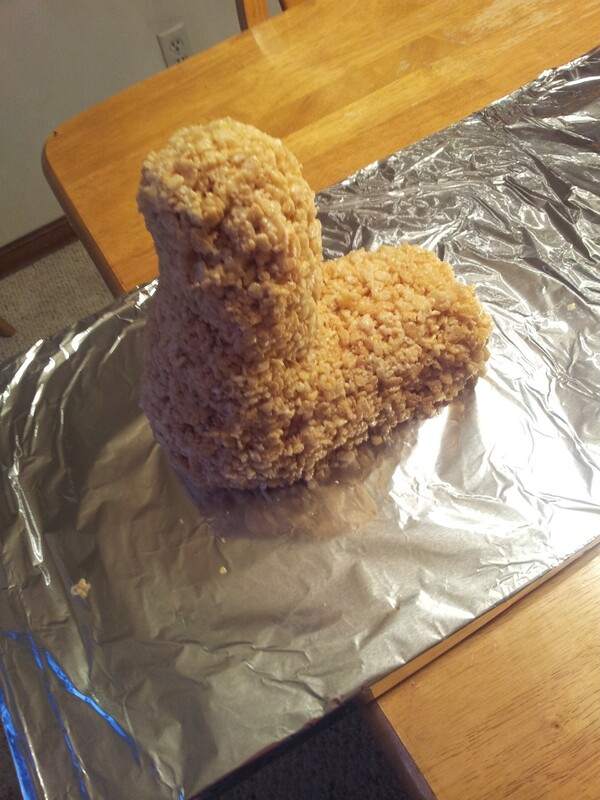 Step 2: Form your head and tail using rice krispie treat mix. A good mix for this is 3 tablespoons butter (melted over low heat), 4 cups mini marshmallows (melted with butter over low heat), and 6 cups of crispy rice cereal. You’ll need 2 batches for this cake. Allow this to cool for about 5 – 10 minutes. What you’re looking for is the rice to not be gooey and be able to hold its shape. 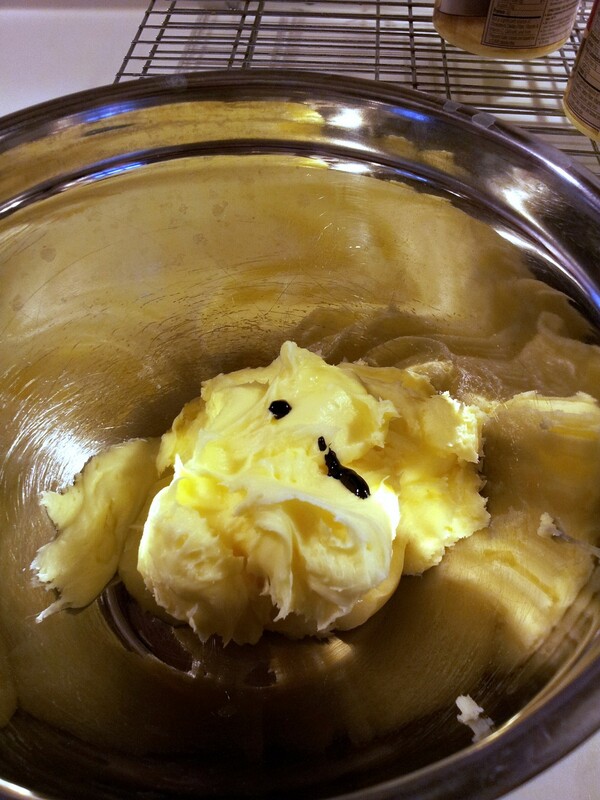 Step 3: You’ll need 5 bundt cakes for this recipe. 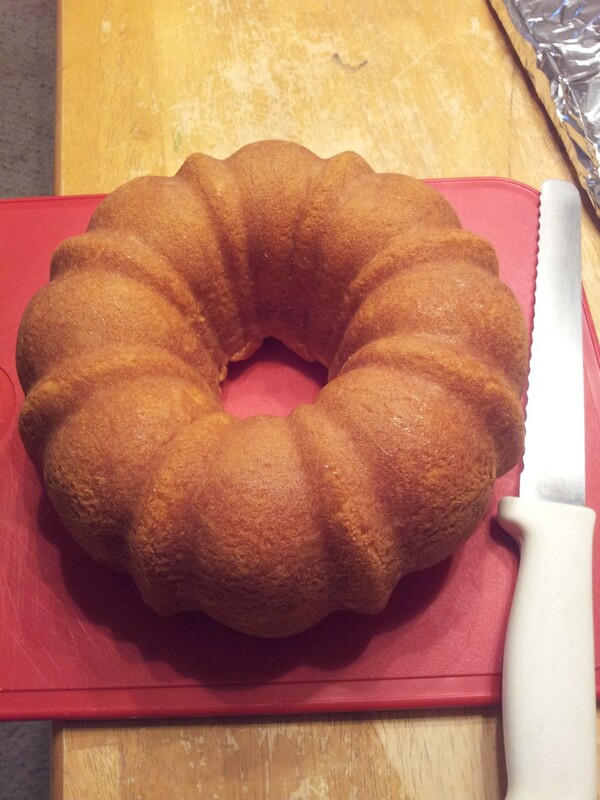 If you don’t have a bundt cake pan, go look in the thrift store. There always seems to be at least ONE there – or borrow a friend’s. I found that a good baking time for a bundt pan was 325° for 40 minutes. 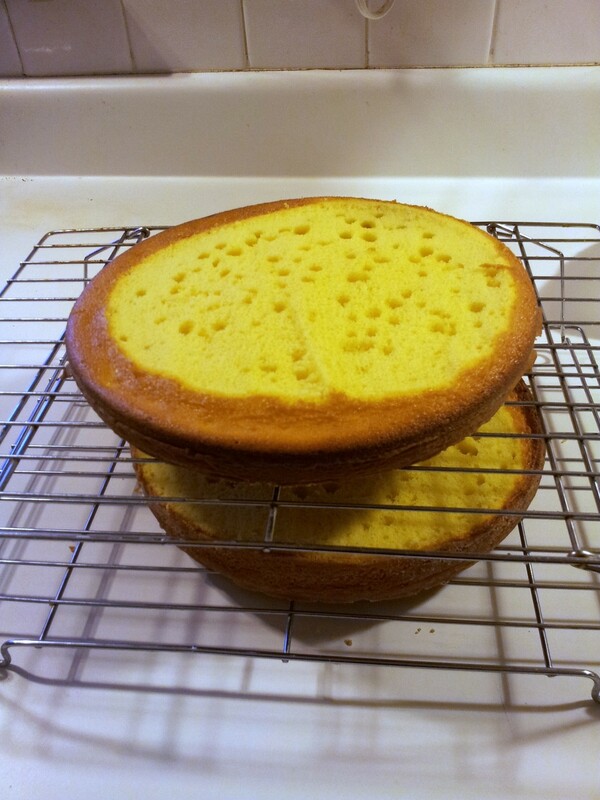 Let them cool before removing the cakes from the pan, and DON’T level them! Leave that rounded top. 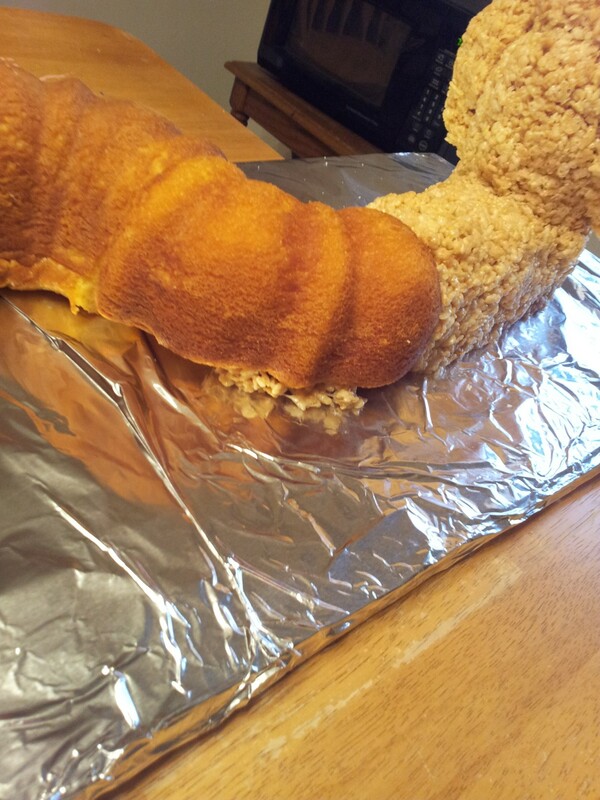 Cut 4 of the cakes in half. 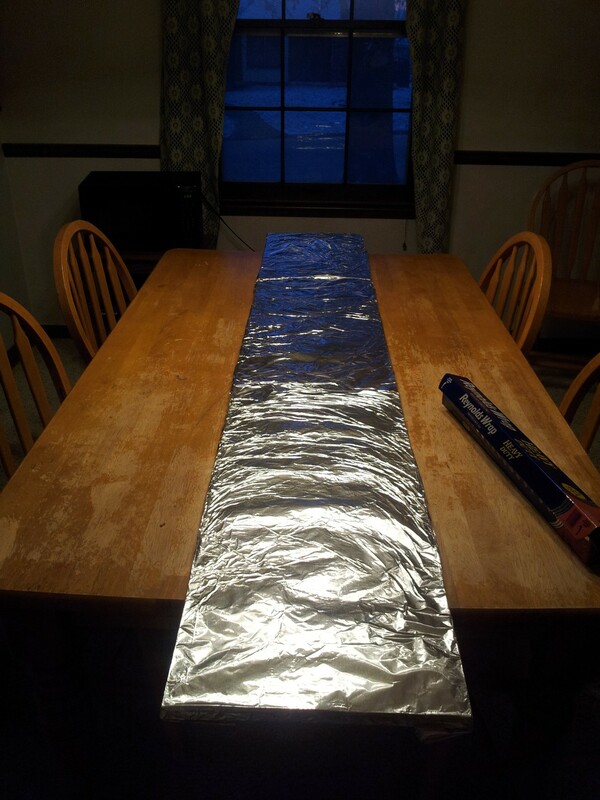 Step 4: Stagger the cakes on the foil-covered plank, so that you’re creating a continuous “S”-shape. Without the snake head, this reminds me of pipes. If you have a plumber in your life, this might be a good idea, too! Step 6: In this step, a couple of things have happened. 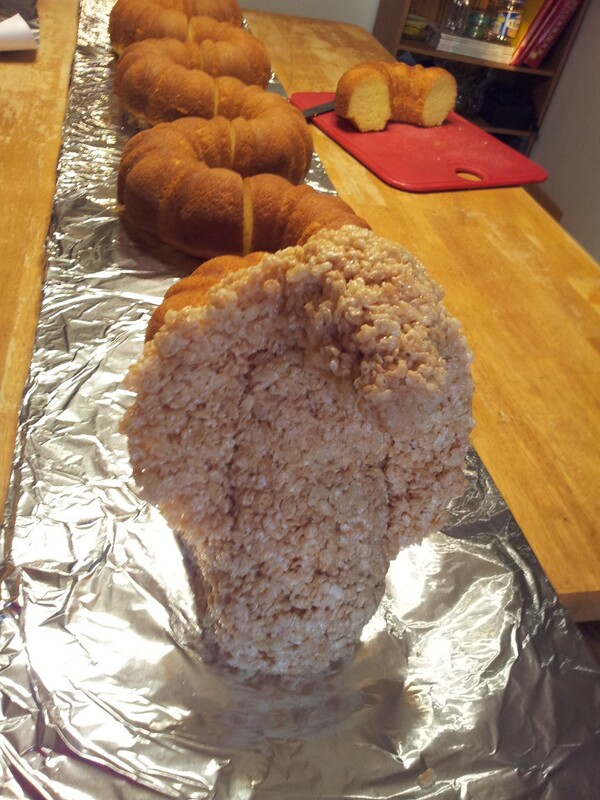 First, that slightly smaller 1/4 piece has connected the body to the head piece, of which has been built up to meet the cake. 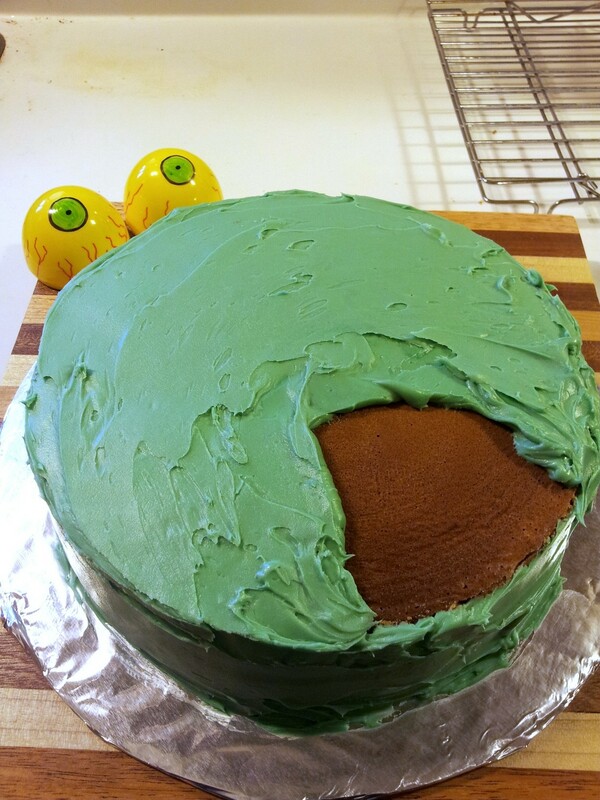 Also, if you look under the cake, you’ll see a small blob of the marshmallow/rice mix. Remember how you didn’t level the bundt cakes? Well, you need that extra height and roundness to make it look more like a snake. Unfortunately, they tend to roll on that round part. By putting the mix there, you’re creating a sort of edible shim for it. Don’t worry. No one will see it once it’s decorated. 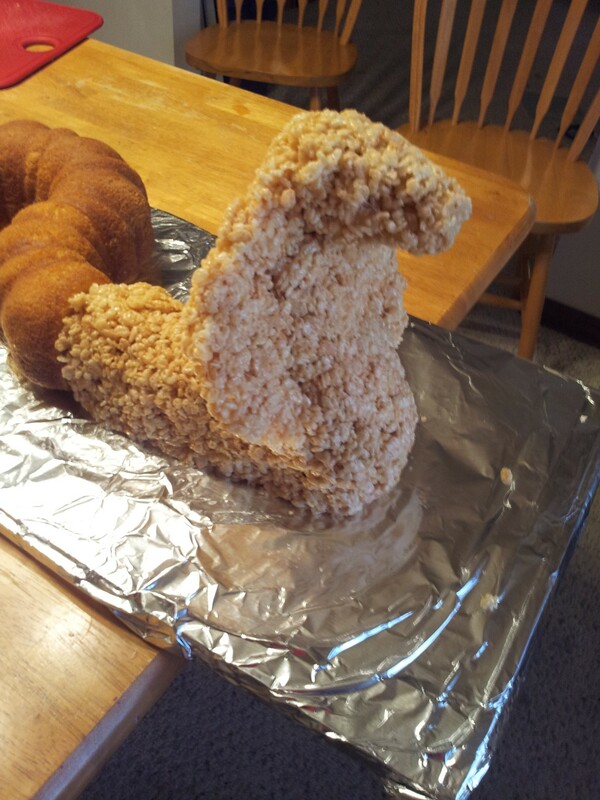 Step 7: With your second batch of the marshmallow/rice treats, add the hood of the cobra. You’ll reserve the rest for the tail and the shims, as you need them. Don’t be afraid to really squish and scrunch this stuff together. It sculpts really well! Step 8: Shape the tail to connect to that slightly-larger-than-1/4-piece. Add shims to any cake that needs support in order for the cakes to touch – or at least be as close as possible. It finally looks like a snake! 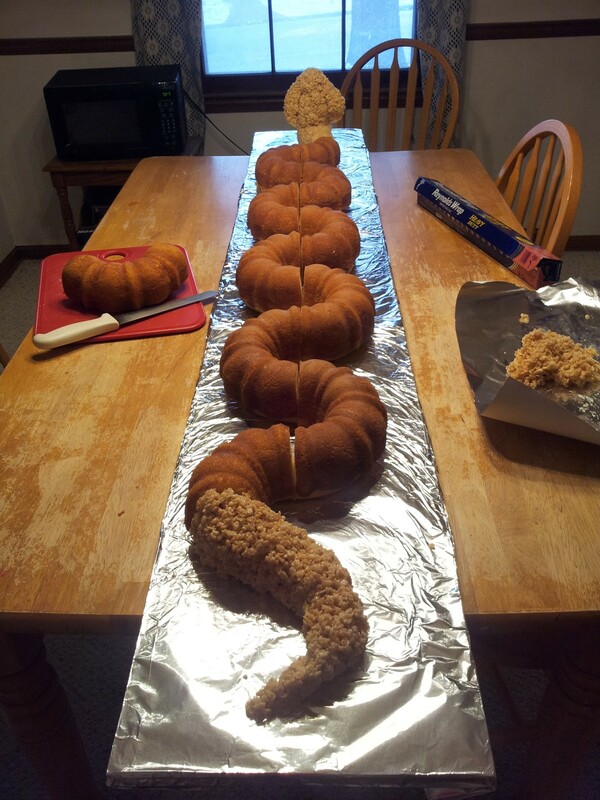 Step 9: Get your friends over to help pipe stars all over your cake! Just so you know, to cover this cake with buttercream icing, I used a total of 10 lbs of powdered sugar, 10 tablespoons of butter-flavored extract, 10 tablespoons of vanilla extract, and 10 cups of shortening. 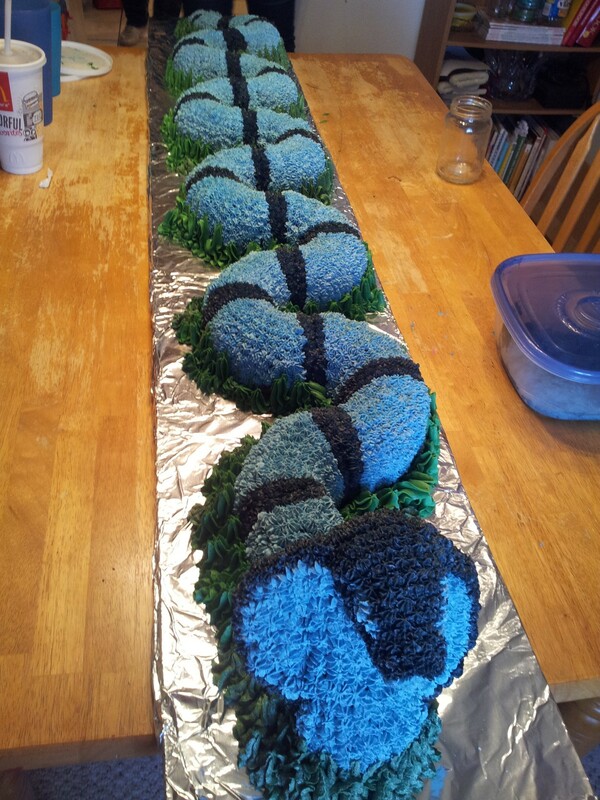 Also, I do know that cobras don’t have stripes, and that they’re mostly solid, but I was making a cake for a bunch of little boys, and I thought stripes would break it up a little. It “reads” well. 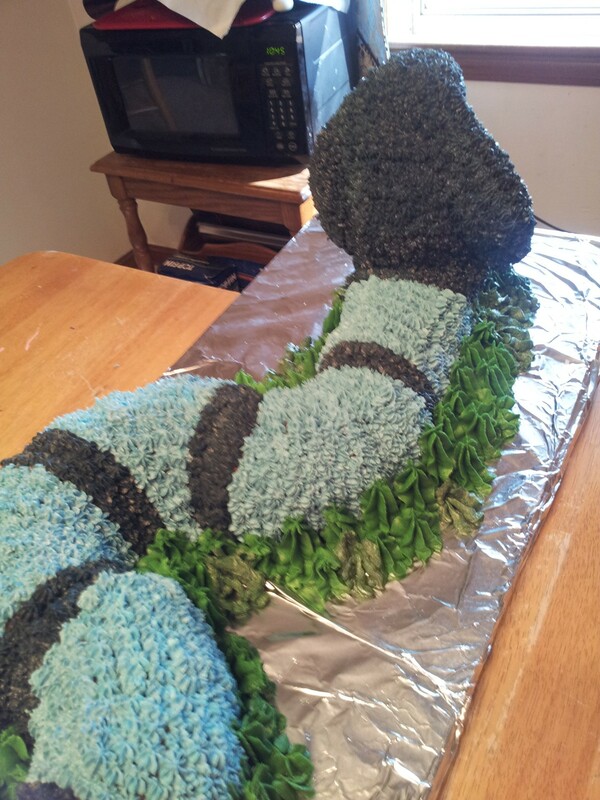 Have fun making your own snake cake! 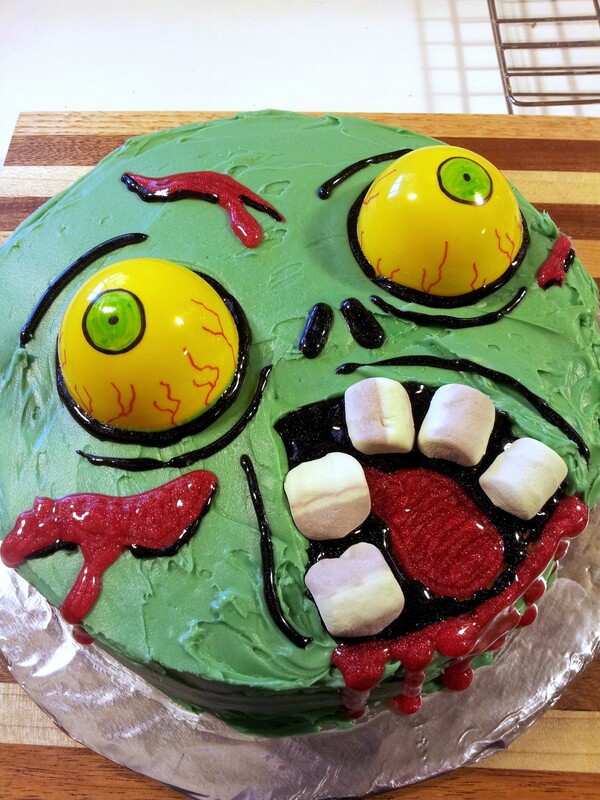 We now interrupt our regularly scheduled broadcast for some… cake? 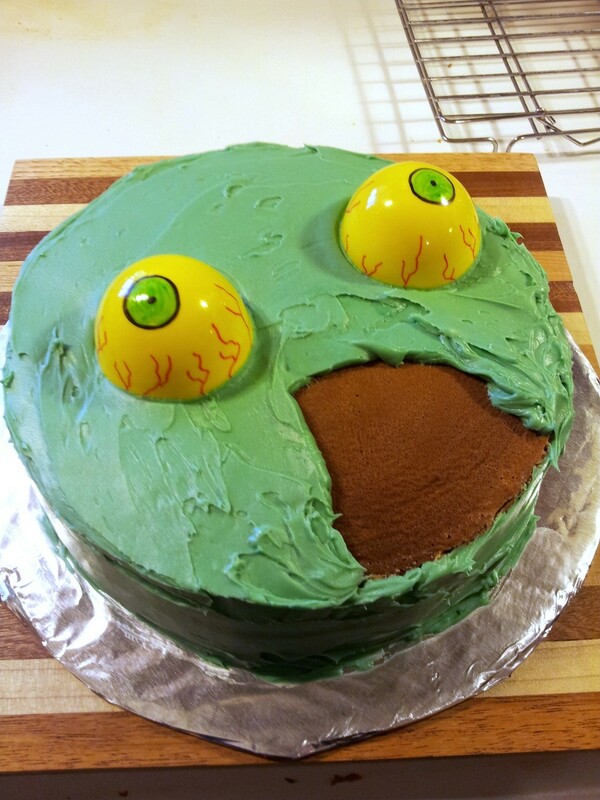 Yeah, yeah, yeah… I know it’s not “homeschooling,” but every now and then I make a really cool cake. I even took step-by-step pictures and have instructions, so in a way, it IS teaching! Right? 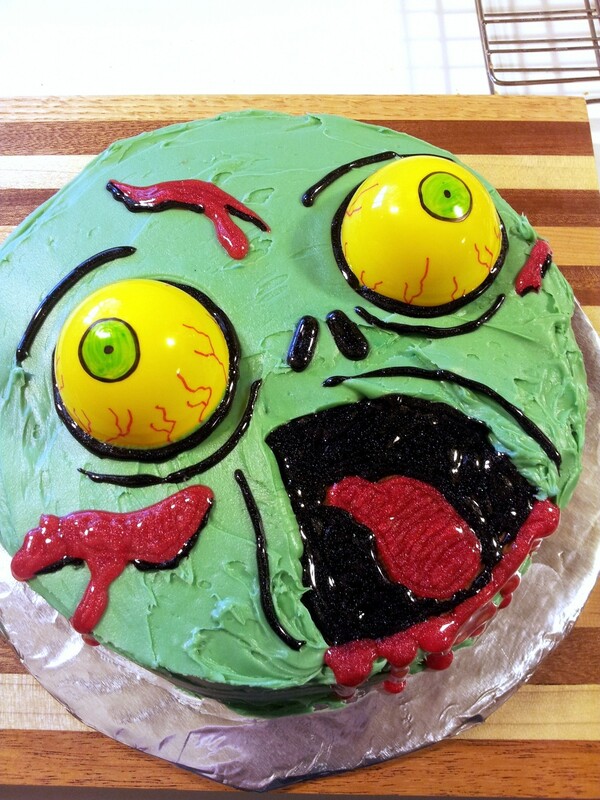 Well, my son asked for a zombie cake last year. Here’s what he got and how I made it – just in case your kiddo wants one. 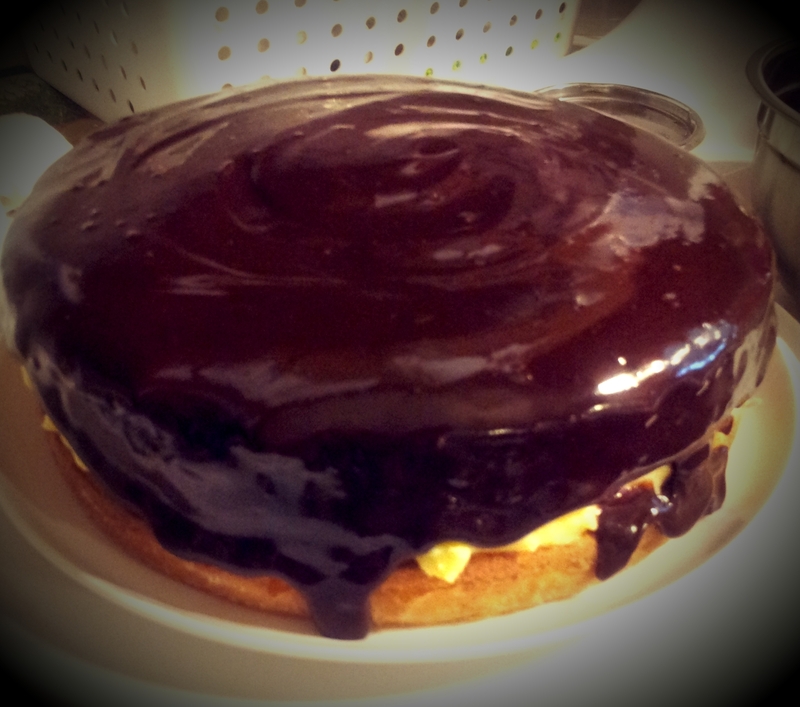 Step 1: Bake 2, round, lemon-flavored cakes. Let them cool, and level off the tops. 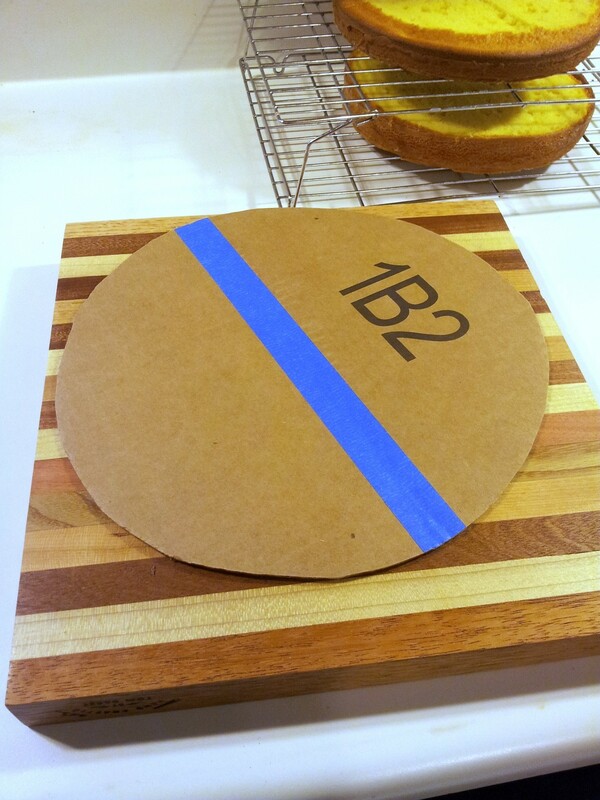 Step 2: Cut out a cardboard circle that’s at least 2″ larger in diameter than your cake. I only had a box that didn’t have a big enough surface to make a complete circle, so I used painter’s tape to join two pieces together. 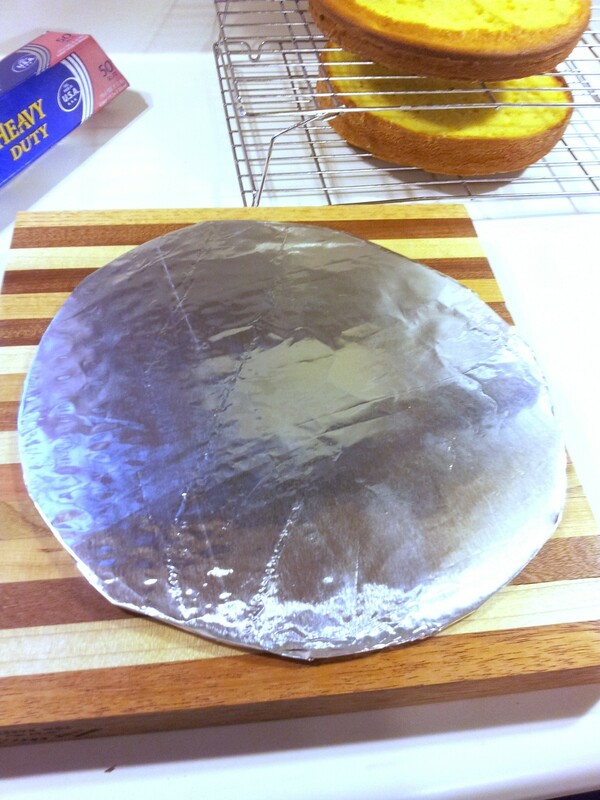 Step 3: Cover said cardboard circle in foil. Step 4: Center 1 cake on the foil, and smear strawberry spread (it makes for some great-tasting, yummy blood when you cut the cake!) generously on top. Don’t get too close to the edge, because it’ll squish out the sides! 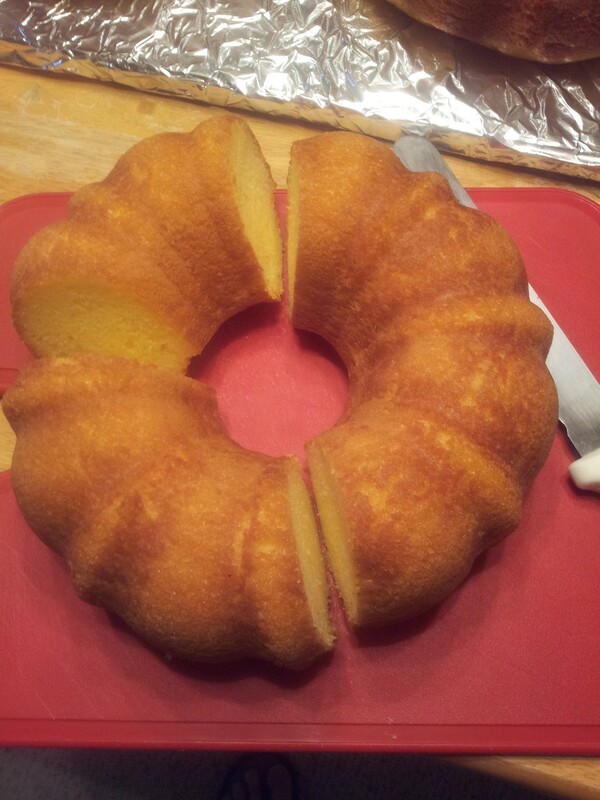 Step 5: Place the other lemon cake upside-down on the first. Step 6: Using two bottom halves of yellow, plastic Easter eggs and Sharpies, draw out some fun eyes. 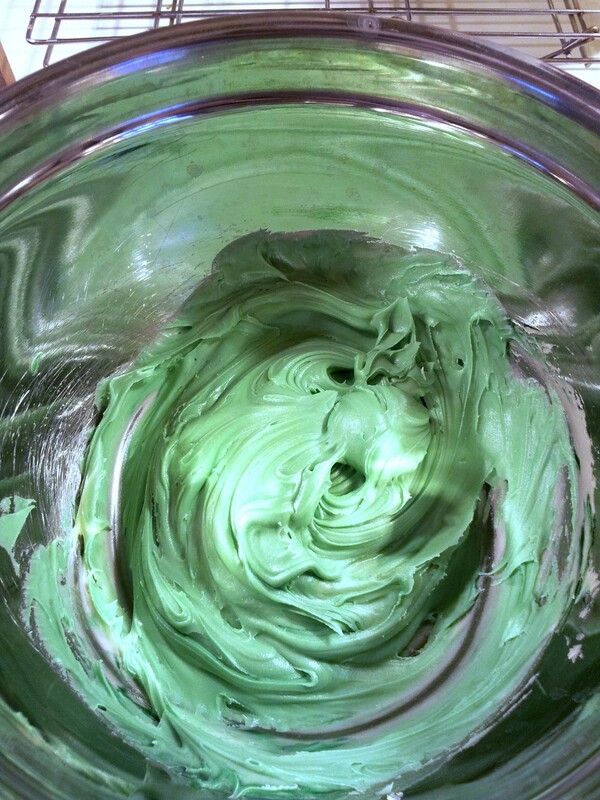 Step 7: In a mixing bowl, stir the contents of 1 tub of lemon-flavored frosting and some green (food coloring or cake/icing coloring). Not TOO much green, though! We’re not making a leprechaun zombie today. Step 8: Mix the frosting and coloring together really well. You don’t want stripes. 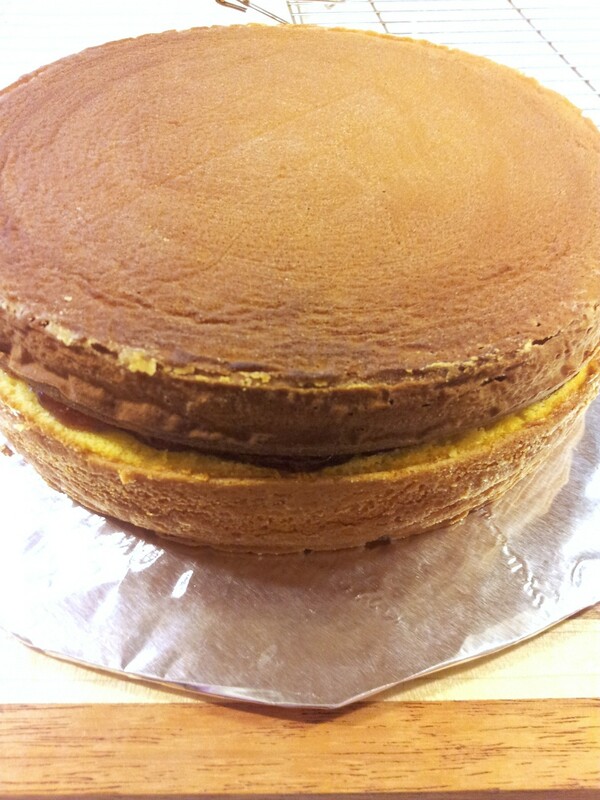 Step 9: Frost your cake, but leave an opening. In this picture (because of where I put the eyes), it kind-of looks like a muppet! Step 10: Press the eyeballs in. I made mine a little wonky-styled to create a “DUHhhhh”-look, but you can put them however you like. Step 11: Using some red piping gel, squit some wounds on his face. Also give him his tongue. 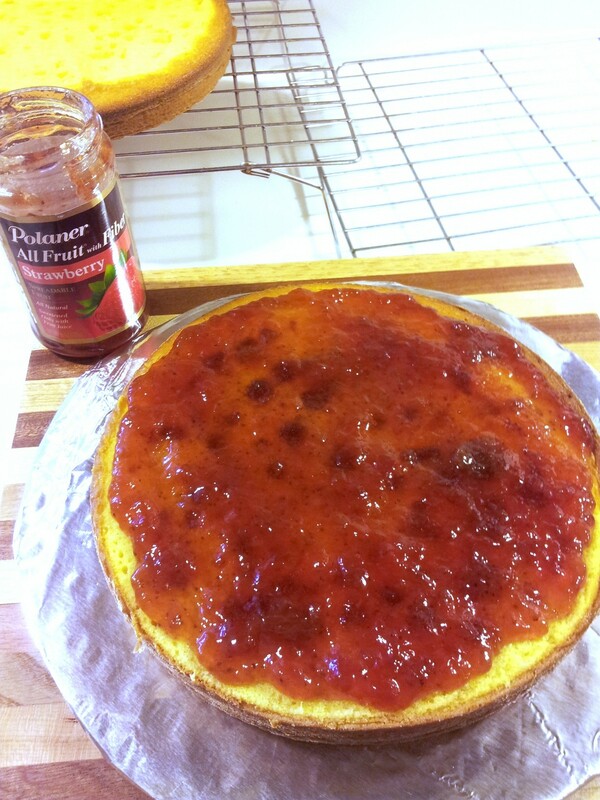 The only red piping gel I could find at the time was sparkly, but my son said that was ok. Step 12: I used black piping gel to create the details. I went around the eyes, colored in the mouth, put two nasal cavity holes, and gave him eyebrows. Placing the eyebrows like I did gave him more of a vacant look. If I had turned the eyebrows in toward his nose, he would have been an angrier zombie. 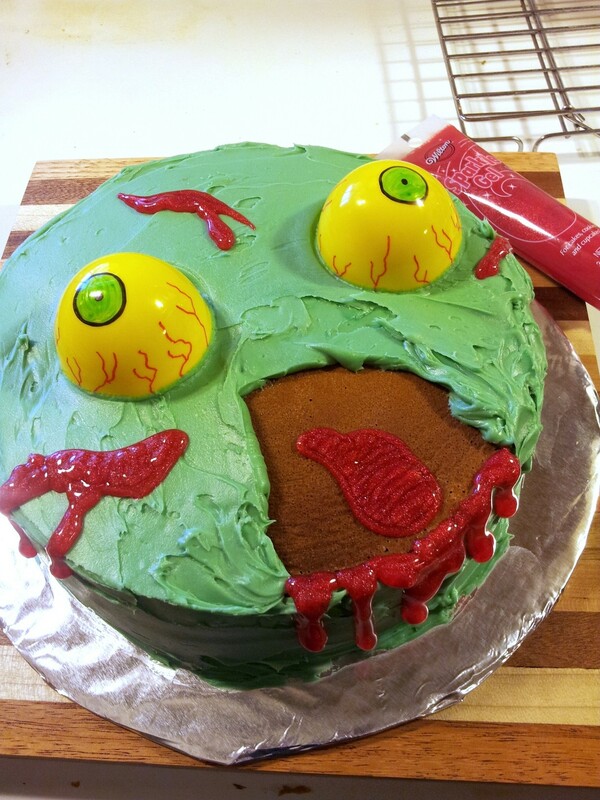 Just something to think about when you’re making your own zombie cake. Step 13: This step can be ommitted, if you like. I found some mint-chocolate (brown and green) marshmallows at the store. I thought it would be fun to put some teeth in! Rawwwwrrrrrrr!